Nightingale HOME MAINTENANCE INC completes wheelchair accessibility upgrades for homes throughout the Peterborough area, including all of Peterborough City & County. These upgrades help make living environments more suited to those dependent on a wheelchair. Let us help you plan a more liveable, accessible space—call Nightingale Home Maintenance to schedule a free consultation. 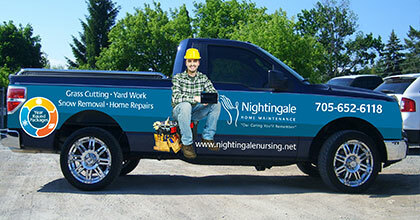 All of Nightingale’s renovators are fully-licensed, insured, and bonded.